A new private investment organization called Q Ventures has launched today in a bid to bring ‘super angels’ and venture capital firms closer to startups facing the ‘equity-gap’ experienced by fast-growth companies. The “highly vetted” network includes members like Michael Acton Smith, CEO of the company behind Moshi Monsters; Richard Reed, co-founder of Innocent Drinks, and music producer Harvey Goldsmith. It’s also being backed by more traditional VC firms like DFJ Esprit, Balderton and Octopus, as well as equity crowdfunding providers like Seedrs. 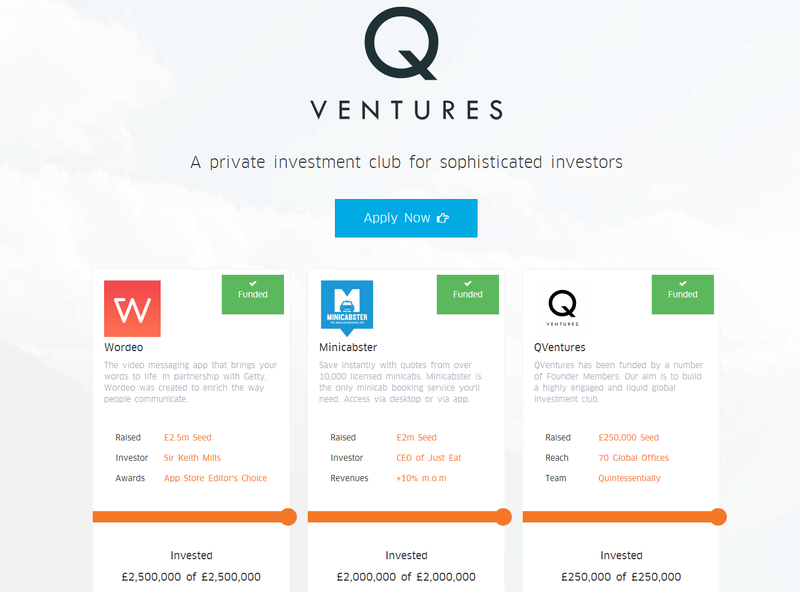 Centered around the online platform and open to UK and European investors, Q Ventures is focused on trying to find backers for growing companies looking to raise £250,000 and £5 million. Investors can join for free and there are no fees, but membership is being capped at 1,000 individuals or businesses and investors “will be expected to be active,” the company said.